ZION. This is the place. Deep, spectacular canyons with lots of water make Zion the ONLY place for canyoneering at the height of summer. 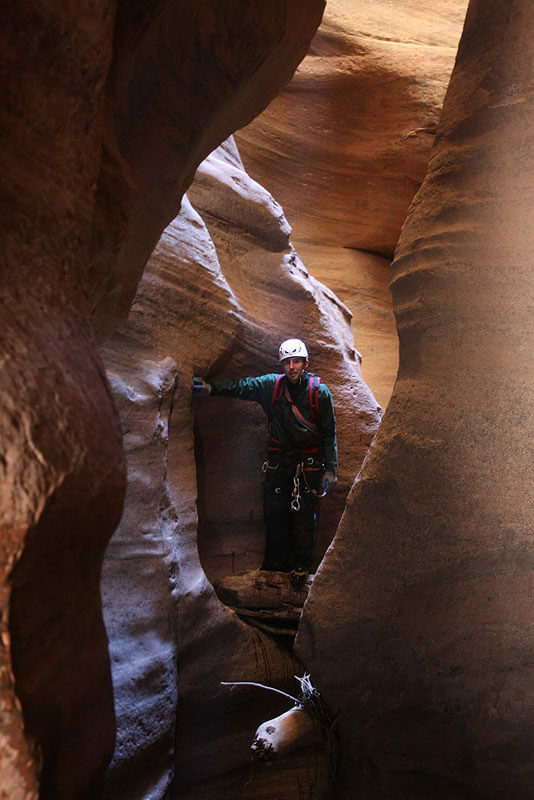 A few dramatic, technical routes challenge the veteran canyoneer, but most routes in Zion offer more beauty than challenge, with well-established anchors that make them a good place for folks to start their canyoneering careers. While many people consider Zion crowded and over-civilized - with permit and access issues getting in the way of a wilderness experience - away from the ten most-popular canyons can be found much wilderness and adventure. Easily worth a week - or a month! - of exploration!